A father and son traverse the city of Nazareth delivering wedding invites. Through the touchstone framework of a father and son relationship, Wajib, writer/director Annemarie Jacir’s arthouse road trip, gently probes the compromises and privations that constitute everyday life in contemporary Nazareth. In this authentic drama, the hard-earned life experience of Abu (Mohammad Bakri) is neatly contrasted by the youthful optimism of his grown-up son, Shadi (Saleh Bakri), as they traverse the urban maze of what is the ‘Arab capital of Israel’, a Middle East township composed of a highly diverse citizenship: as well as being the Israeli city with the highest Arab population, within this demographic are further variegations, with 69% being Muslim and 31% Christian. 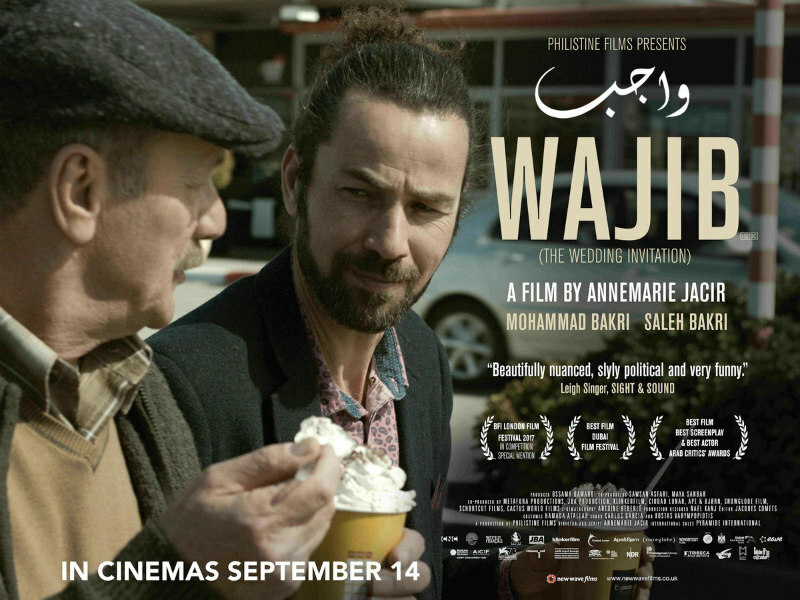 Filmed within the city limits, Wajib gives the immediate impression of a municipality given to fracture. 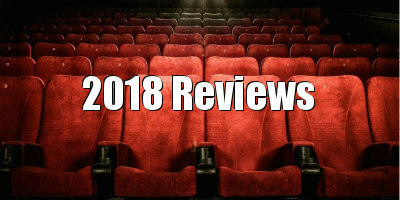 Along with the understated dramatic nods of street fights and disheartening radio bulletins concerning Israeli embargoes, the town is depicted ‘as is’, which means tight streets crammed with cars and people, bins ubiquitously overflowing, and the constant frustration of blared horns and raised voices. This verisimilitude is further enhanced by the real-life relationship between the central actors, who are both superb, and whose natural chemistry vitally enriches the impact of this subtle and convincing drama. The title, which roughly translates to ‘duty’, ostensibly relates to Abu and Shadi’s central task, which is to hand deliver the wedding invites of their daughter/sister to various guests across Nazareth. The cultural importance of this endeavour is underlined when it is revealed that Shadi, who relocated to Italy some time ago, has returned home to complete the run with his father. Shadi displays all the accruements of Western living with his flash shirt, red trousers and (very fetching) man-bun. He misses his European girlfriend, much to the chagrin of his father, who makes a few initial intimations about wedding within the more immediate culture. Initially the regretful jokes concerning the obsoleting of cousins marrying seem like the grumbles of an old-school Muslim, but as the journey progresses, and the film gradually peels back the layers of this fraught relationship, it transpires that Shadi’s prospective father-in-law is a high ranking official in the PLO: a revelation that vies for dramatic space among other disclosures, such as the flight of Abu’s wife, his compromised relationship with an influential Jewish councillor and the real reasons for Shadi leaving the homeland. Within this fragmented environment, it is no surprise that family and friends are held dear: in such shifting tides, blood is thicker than the polluted waters of the city. And thus, as the pair visit the different denizens of Nazareth, personal responses and experiences regarding life in the Middle East are presented. 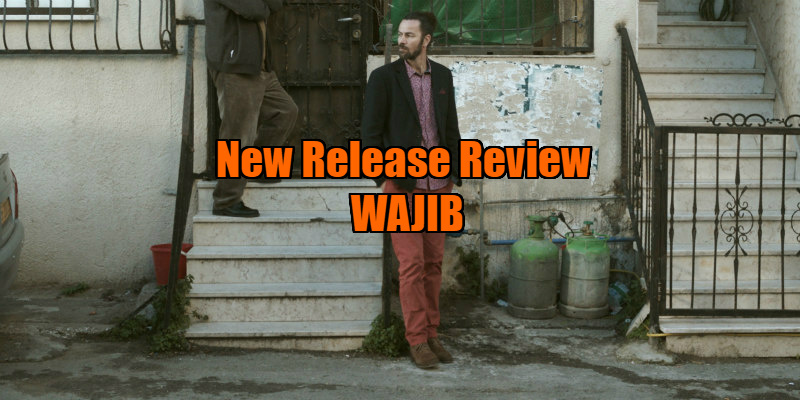 What is impressive about Wajib is the subtlety of the storytelling: a less confident film-maker may have overstated Wajib’s narrative and given in to histrionics. Instead, the drama here is cautiously realised, soberly related, and recognisably familial even to those not living in such a transitional landscape. However, this fealty to nuance means that most of the family members that the Shadis visit are necessarily nice and gracious, and interpersonal conflict generally consists of Shadi and Abu having unwanted provender forced upon them (although there is a tense scene where it is discovered that the invites have a misprint - calamity!). At times, this can make for a rather slow viewing experience. Within Wajib’s echt realisation of Nazareth, an ostensibly calm city, which is built upon compromise and kept in check by the threat of violence (we pointedly see soldiers milling around in the background, machine guns slung casually over their shoulders), we undergo a road trip that seemingly doesn’t travel very far, with a conclusion based more on bittersweet resignation that revelatory destination. Wajib is in UK/ROI cinemas September 14th.